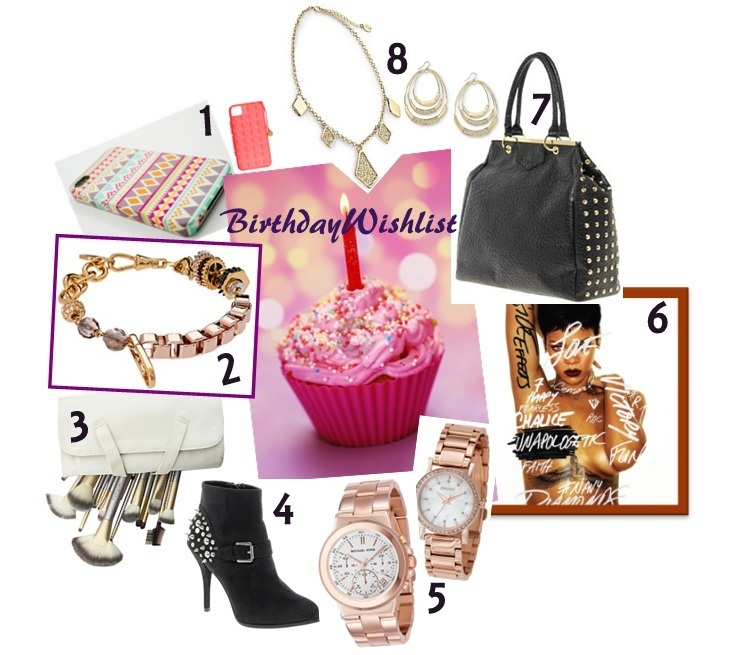 My birthday is coming up in a week and I've made myself a little wishlist of gifts I would like to get. Of course I don't expect to get everything for me B-day.. but hey, Santa is almost coming to town right? 1. Iphone case. I found these ones online, but I basically want one in a bright color or one with some bling on it. Pimping my phone, ow yeah! 2. Disney Couture Dr. X Bracelet. I saw this one on ASOS and love the diversity and colors. 4. Faith Shannon Studded Heeled Ankle Boots. Found these ones on ASOS. Love the studs in the back and strap in the front. 6. Unapologetic, Rihanna. Love her music! 7. Studded frame bag. This one is from ASOS, but I have seen them around everywhere lately. I love the rock n roll touch these bags give to any outfit. 8. Kardashian Kollection: Glitter Hoop Earrings - Faux Hematite and Glitter Pendant Necklace - Goldtone. The Kardashian Kollection has really surprised me, I think the sisters created some very nice pieces. I find especially their jewellery very classy, yet original AND affordable.